Due to an uplanned extra five days of vacation in the northeast USA (that snow storm you might have heard about) so we took the train from Boston to New York and spent a day and a half visiting the slushy streets of New York. 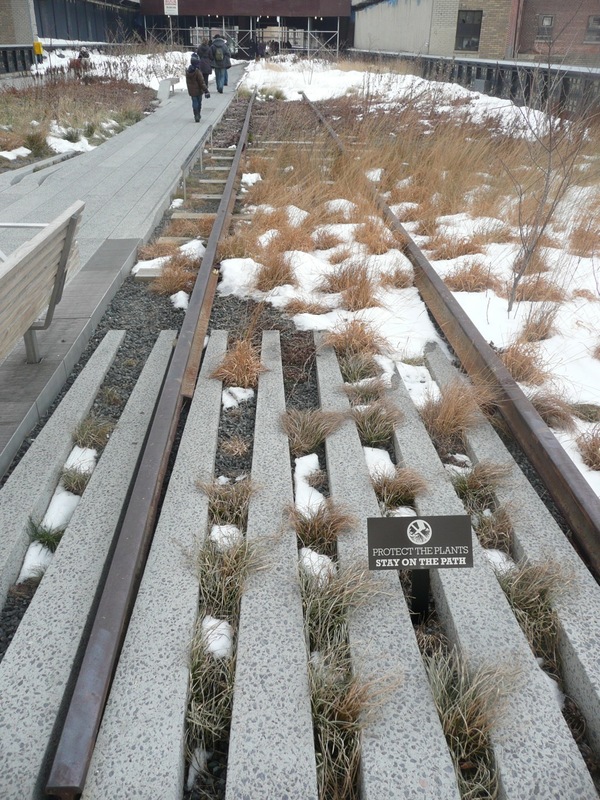 I really wanted to see the first section of the High Line – once an elevated railway, now a park. 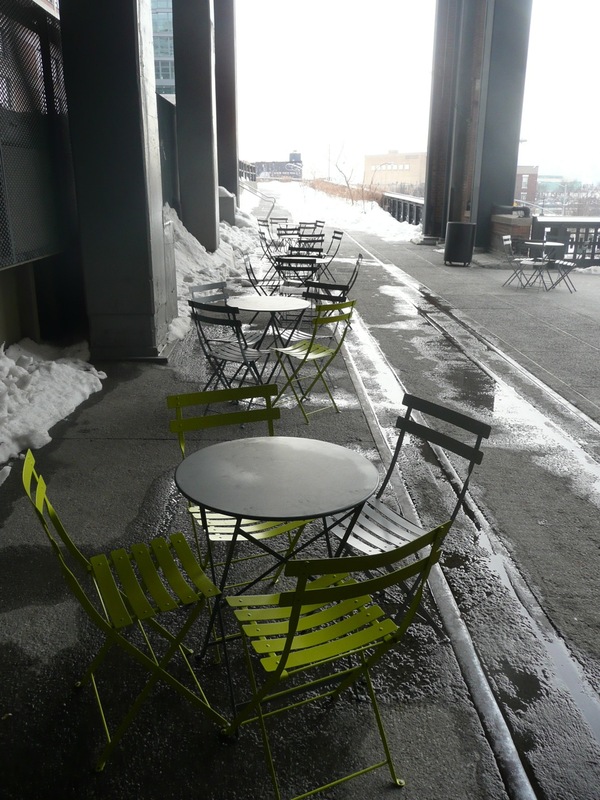 The first of three segments opened this spring, it’s in the Meatpacking District of NYC. 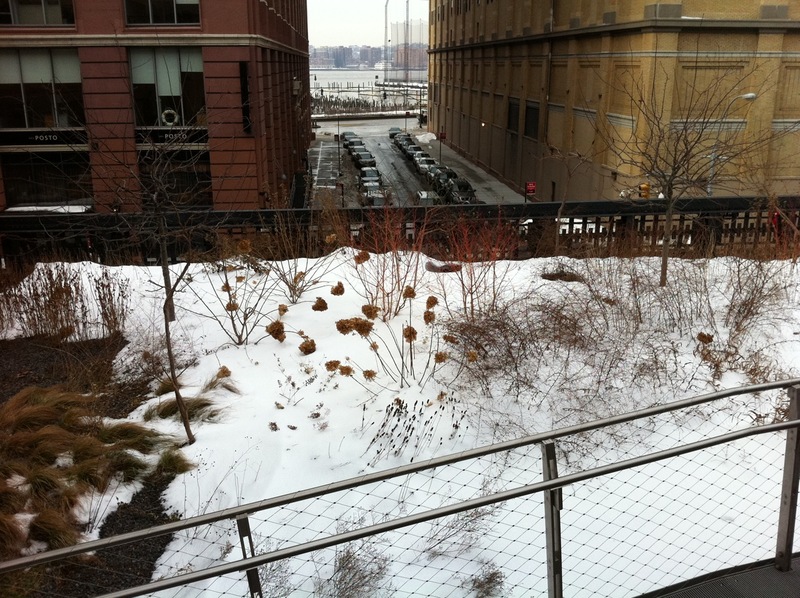 Friends of the High Line are developing and maintaining the new park as part of a public/private partnership with the City of New York Parks Department. 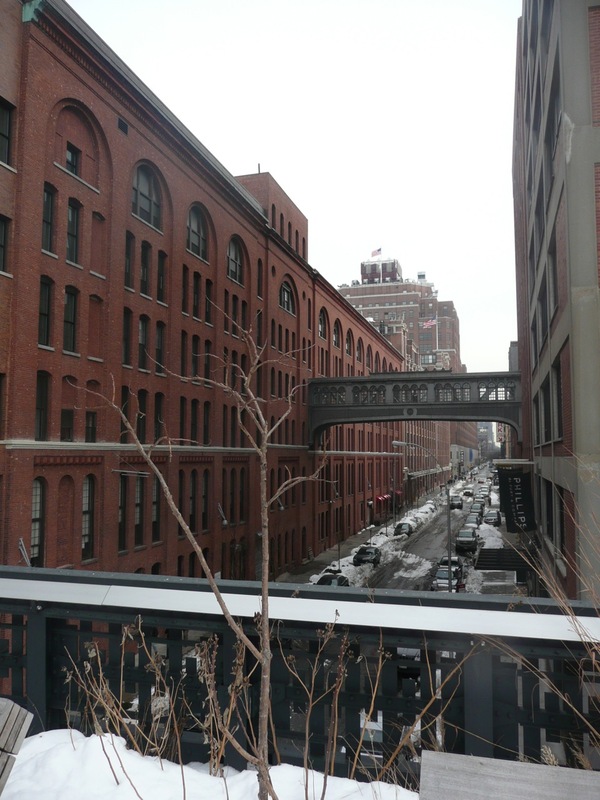 When all three sections of the High Line are open, it will be a mile and a half long.